Yes, the rowsandall.com site has a tag line, or perhaps a battle cry. The guard knights of Blanik mountain, guarding Bohemia. These knights are sleeping in Blanik mountain and are believed to awaken when the motherland is in great danger. 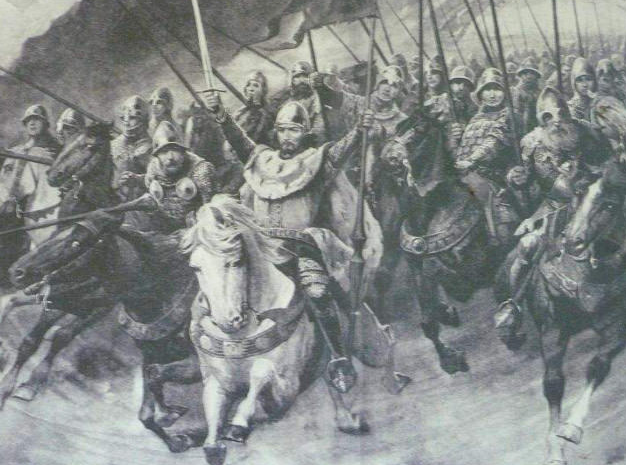 In contrast with the mission of the knights of Blanik in the illustration, who are supposed to wake up from their slumber when the motherland Bohemia is attacked by a number of armies equal to or greater than four (from four cardinal directions), rowsandall.com is not slumbering. On the other hand, I don’t believe your rowing data is being attacked from four cardinal directions. Free Data. To “free” the data, i.e. liberate them from your devices or from fitness sites with limited rowing related functionality. And Analytics. To pioneer data visualization and data analytics. Because we are a bunch of rowing data geeks (like the knights in the illustration!) and playing with data is what we love to do. For Rowers. To focus on rowing related data. For Rowers. By that, we mean offering data services that help rowers. Rowsandall.com will never be a general fitness site, or a site where you collect all your cross-training. The connectivity to Strava, SportTracks and the likes is a must, to keep your data free to go where it needs to go, but the data analysis and visualization on Rowsandall.com focuses only on rowing and erging. By rowers. The rowsandall.com site is a hobby. We keep our prices extremely low because we’re not paying anyone to do maintenance, bug fixing, etc, like professional fitness sites do. We also don’t pretend to offer the same service as those professional, slick services. You get what you get. No warranties. You can submit feature requests and bug reports, and we will do our best to respond, but there is just one guy who programs, and he does it in his free time. By the way, did you know that, according to the legend, one day inside that Blanik mountain equals one year on the surface? These four principles also explain why the site is very spartan in its user interface. And why it is so geeky. We do what we love to do and we think that is well represented in our tag line. We hope that what we do will show what can be done for data analytics and rowing, and we hope that we can be an inspiration to the vendors of rowing equipment to come up with that slick rowing workout tracking and analysis platform. So, it really is a tagline. Not a battle cry. But we are serious about it.